Yet one more Forex award is gained by our company. 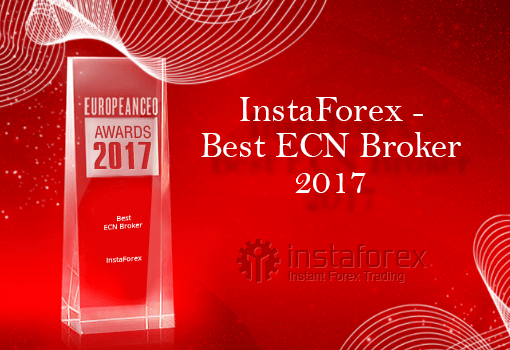 This time InstaForex obtained Best ECN Broker 2017, a prestigious international award by European CEO. This is not the first time we earn this title. European CEO Awards is the fifth InstaForex award by the British business periodical and one of the premier awards in the global rating. Each victory is a testament to professionalism, reliability and prosperity of our company in the brokerage services market.